National Beer Day is fast approaching (Thursday, April 7) and as spring marches on, what better time to find your next favorite IPA, Porter or Stout? Napa Bookmine at Oxbow has spent hours curating a fine selection of publications to help you in your quest. Rifle through the pages of The Beer Bible: The Essential Beer Lover’s Guide. Perhaps take a peek in the pages of quarterly magazine, Pallet, which is dedicated to people who “…like to think and drink.” More of a graphic novel reader? 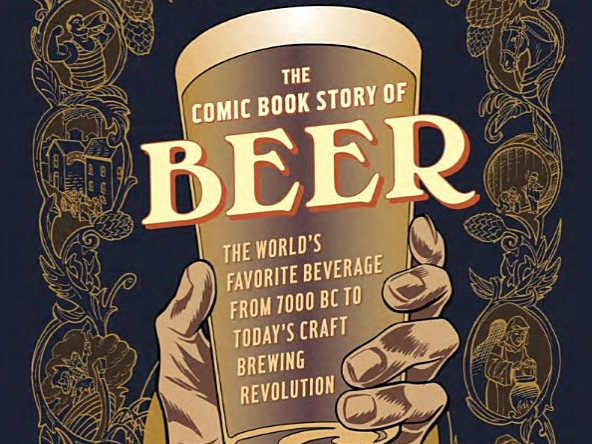 Try The Comic Book Story of Beer: The World’s Favorite Beverage from 7000 BC to Today’s Craft Brewing Revolution! Happy National Beer Day!